Published: Sept. 19, 2012 at 11:13 a.m. Updated: Sept. 19, 2012 at 03:59 p.m.
That's what Buffalo Bills executives and coaches are likely saying after watching running back C.J. 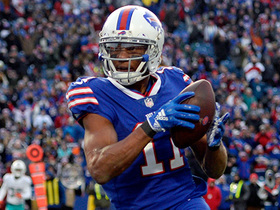 Spiller emerge as the NFL's most explosive player in the early goings of this season. 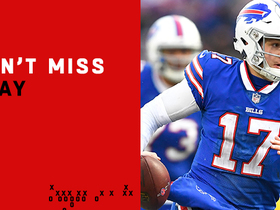 The Bills selected Spiller ninth overall in the 2010 NFL Draft to add a big-play element to their offense, but his output through two seasons was limited to a handful of dazzling moments. Spiller recorded just one 100-yard rushing game during his first 30 contests, and mustered only eight runs of 20-plus yards in his first 281 rushing attempts. 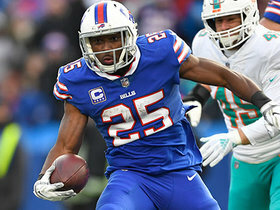 Stepping in for injured veteran running back Fred Jackson this season, however, Spiller found his groove, and the results have been spectacular. Spiller leads the NFL with 292 rushing yards (on just 29 carries) through two games and has produced four runs of 20-plus yards and two of 40-plus. Spiller has also become an explosive weapon in the passing game, too, tallying five catches for 72 yards. The biggest adjustment young runners have to make when transitioning to the pro game is getting used to the speed of NFL defenses. Linebackers and safeties are faster and more explosive than they are in college, and holes close more quickly. Runners must make good decisions at the point of attack in order to pick up positive yardage, regardless of the defensive call. During Spiller's first two seasons, he routinely attempted to outrun defenders to the corner rather than cutting inside to grab three or four yards. 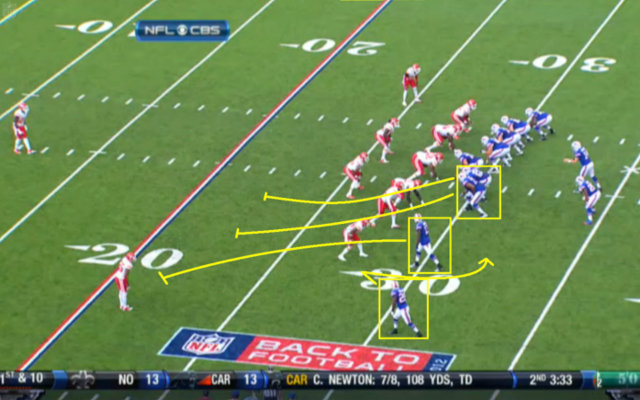 Although Spiller's extraordinary speed occasionally allowed him to get to the edge for a big run, opposing defenders typically corralled him before he could turn the corner. This season, though, Spiller has been more decisive at the point of attack, showing a willingness to take the ball between the tackles for a short gain rather than just bouncing it outside and hoping for a big play. 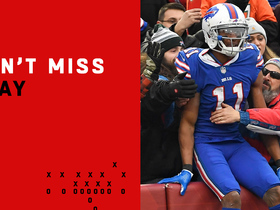 Those three- and four-yard gains don't pop out on the stat sheet, but they eventually lead to the monster runs that Spiller covets as a home-run hitter. 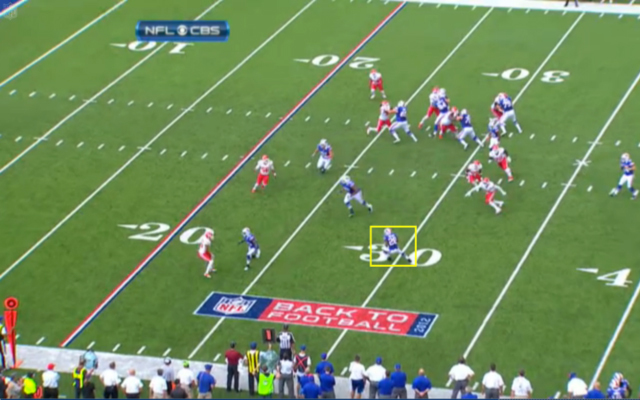 Spiller eventually burst into the secondary and rumbled for a 38-yard gain on this carry. Spiller is a burner who boasts electrifying elusiveness in the open field; his speed (he ran the 40-yard dash in less than 4.4 seconds) and explosiveness are scary for opponents. 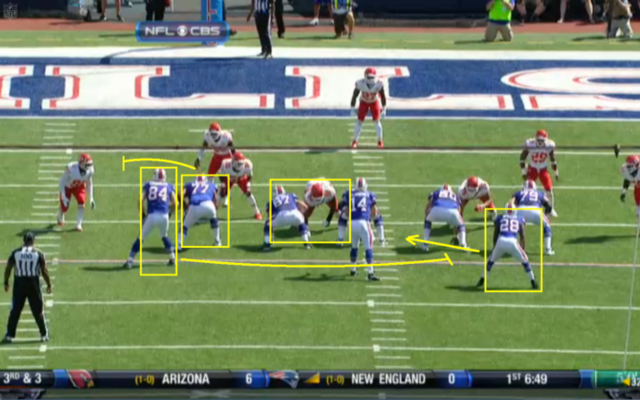 The Bills capitalize on his talents by frequently getting him the ball on quick-hitting plays like traps and quick pitches, which catch defenders by surprise and allow Spiller to burst into the secondary. 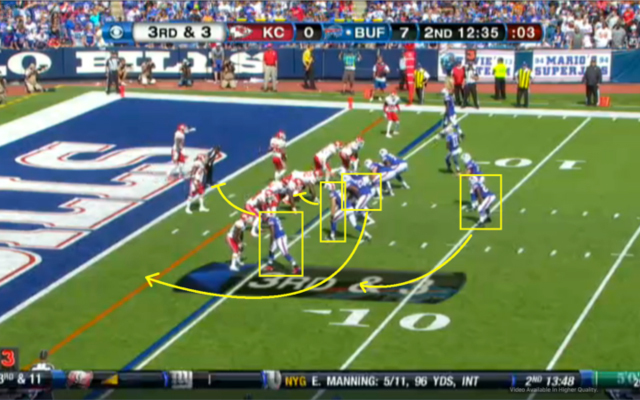 The combination of Buffalo's play-calling and Spiller's ability has regularly resulted in huge gains. 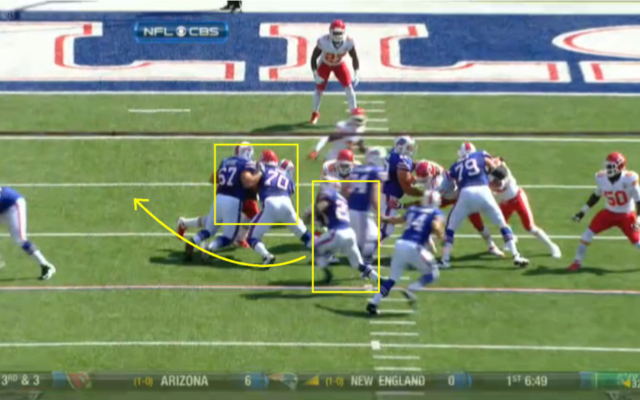 Spiller waltzed through that hole on his way to a 17-yard touchdown. 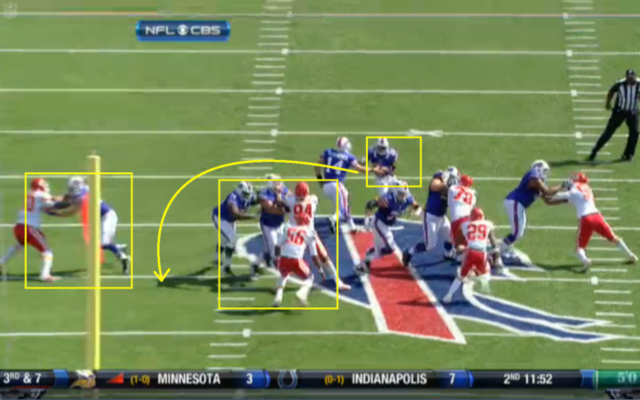 This play was executed perfectly, and Spiller scampered into the end zone for a five-yard score. 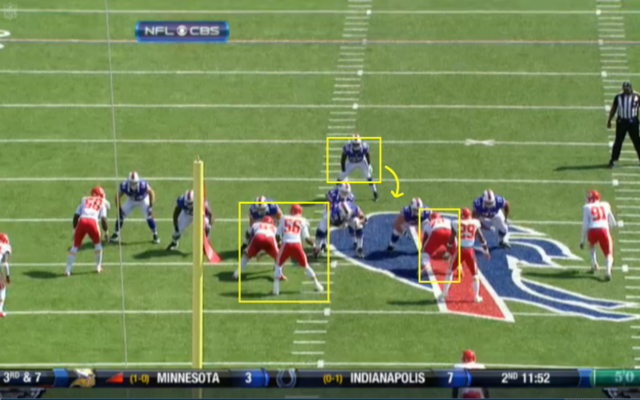 This turned into a 27-yard gain for Buffalo.